Talking to TNIE, Bhagat termed dissolution of Assembly on November 21 as 'unconstitutional and undemocratic. SRINAGAR: In an unexpected turn of events in the Valley, disgruntled BJP leader and former MLA Dr Gagan Bhagat has moved Supreme Court challenging the dissolution of State Assembly by Governor Satya Pal Malik. Terming the Governor a "liar", he said there is no Muslim cook at Raj Bhavan in Jammu from the last 30 years and there is no question of a cook not being available in the Governor house on Eid. Talking to this newspaper, Bhagat termed dissolution of Assembly on November 21 as "unconstitutional and undemocratic". "I have moved Supreme Court against the dissolution of the Assembly. The Apex Court will see what is right and wrong, as every fact has to be laid bare before the court," he said, adding that people would come to know about the flimsy ground on which the Assembly was dissolved. Bhagat, who was a BJP MLA from R S Pura, said he could have also moved the high court. "But then, I realised nothing would come of it, as the (high) court would sit on my plea," he said. Saying that the apex court would begin hearing the case in the next few days, Bhagat said, "I am hopeful that justice will be done." Asked whether he has support of the BJP, he said, "I am not concerned about the party. The day the Assembly was dissolved, we were no longer MLAs". "I am accountable to people of my constituency, who voted me as their representative for six years," he said. The Governor dissolved J&K Assembly on November 21 after PDP chief Mehbooba Mufti and BJP's ally and separatist-turned-mainstream politician Sajjad Gani Lone staked claims to forming the government. Mehbooba had claimed support of 56 members, while Sajjad claimed support of the BJP and over 16 other elected MLAs. Taking a dig at the Governor, Bhagat said, "He (Malik) should have tested the legitimacy of the claims on government formation on the floor of the house instead of acting on rumours of horse trading, non functioning of fax and cook not available at Raj Bhavan in Jammu on Eid." "If Assembly was in suspended animation for five months, why wasn't status quo extended for the few more days? What was the need to dissolve the Assembly in the dead of night," he said. The former BJP MLA said people had given legislators mandate of 6 years and Governor cannot act as autocratic and dissolve the Assembly. 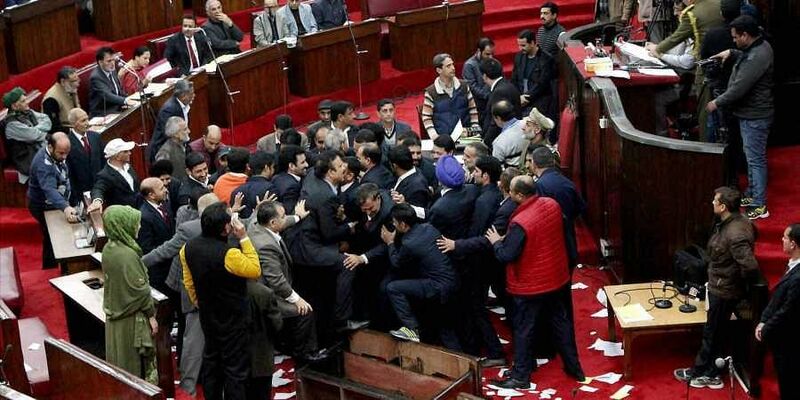 In J&K, the term of an Assembly lasts for six years. Referring to Governor's claim that there was no cook on Eid day (November 21) at Rajbhavan in Jammu, he said, "It is not true. The Governor is telling a lie. The fact is that there is no Muslim cook in Rajbhavan Jammu from past 30 years." "When Governor, who is head of the state, tells a lie, it indicates that there are malfide intention behind this all," Bhagat said. Accusing Malik of enjoying powers of CM for five months, he said, "By dissolving the Assembly, it has become more clear that he wanted to become a CM than a Governor to run the state. He enjoyed the powers". Bhagat said what is guarantee that if fresh elections are held, there won't be a fractured mandate. "The situation in Kashmir and Jammu at present indicates that there will be fractured mandate". Another former BJP MLA Dina Nath indirectly supported Bhagat going to Supreme Court. "India is democratic country and he (Bhagat) has every right to go to any court to challenge a decision which he thinks is not feasible," he said. Nath said the MLAs had a mandate for six year and they still had two years left. "The MLAs have the problem. We could have carried more development in our constituencies for two years and it has stopped," he added.